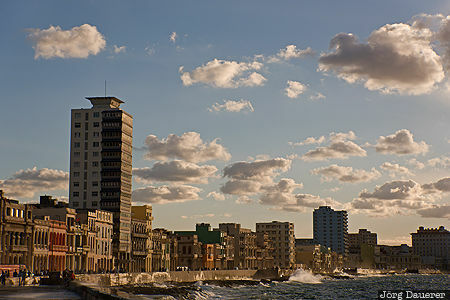 Clouds above the Malecón (Avenida de Maceo) at Havana's coastline back-lit by warm evening light. Havana (or La Habana) is the capital of Cuba. This photo was taken in the evening of a sunny day in February of 2016. This photo is in the Photo Calendar "Kuba". This photo was taken with a digital camera.